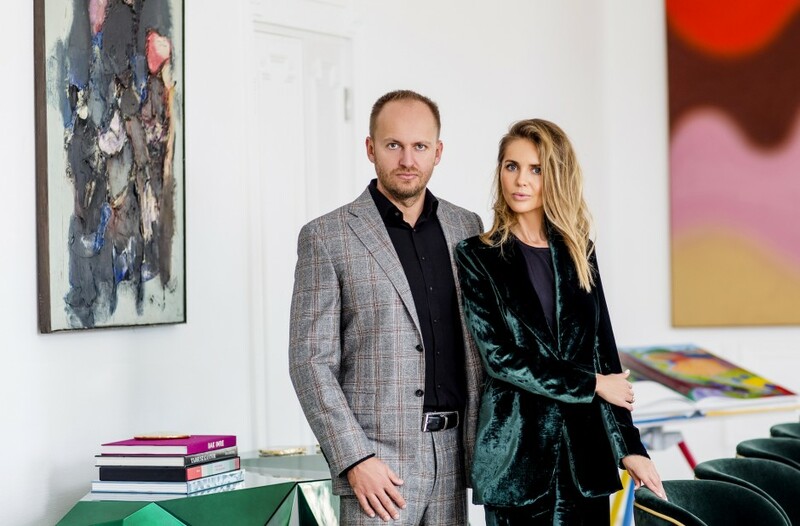 This October, the Polish collector couple Irmina Nazar and Artur Trawinski launched the European ArtEast Foundation, an organisation that will promote and support exhibition of Eastern European art. 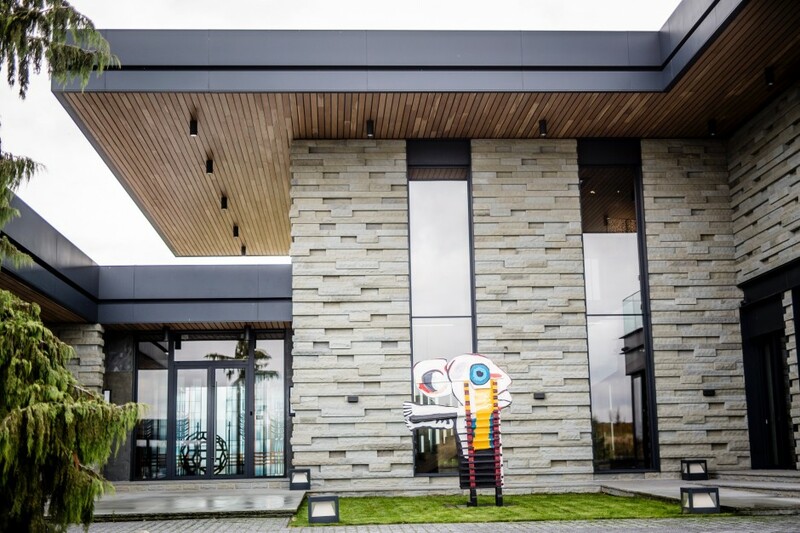 Since a decade ago, they have been collecting European abstract expressionism, art informel, Eastern European abstract minimalism and optical art. They have also just become members of the new committee of acquisitions for Eastern Europe at the Centre Pompidou. Irmina Nazar and Artur Trawinski shared with Larry’s List their collecting adventure, why post-war Eastern European art matters and their vision for their newly established foundation in the upcoming years. Irmina Nazar and Artur Trawinski. Courtesy of European ArtEast Foundation. When we were young, we were collecting different things, rare books and ancient perfume bottles. However, we did not consider ourselves as collectors until one day we had the feeling that we had to buy a certain work of art because we loved it and we must have it. Along the years, we realized that the more we learn about art, the more we love it, so what is a better motivation for a collection than the love for art? Collecting for us is a serious, creative and intellectual activity, a passion that stimulates our life. Difficult to say because we each have different stories. As a young boy, I received a rare and fascinating book about Salvador Dali. Later, I took that book with me on my travels, committed to discovering his works in person. However, the first work that impressed me deeply was a painting of Tadeusz Kantor from the Informel period, which I managed to acquire some time ago. While Irmina, who always wanted to become an artist, was impressed by the mesmerizing works and personality of Wojchech Fangor, a Polish artist who is now considered as a revelation of the market in terms of revaluation of the neo-avant-garde of the 1960s-1970s. For her, Fangor was the absolute figure of a genius artist. Mladen Stilinovic, Exploitation of the Dead, 1989. Courtesy of European ArtEast Foundation. We like to explore areas that were not investigated before; therefore the postwar period of the 1950s and 1960s is the most interesting for us. Those decades were problematic within the entire communist bloc across Eastern Europe, and we believe that it is important to look for the artistic expressions beyond the propaganda of that time. However, we are interested both in emerging and mid-career artists, as long as we feel a connection to their works. Is there any particular type of art that has consistently attracted you, or anything that unites all the works you have acquired? 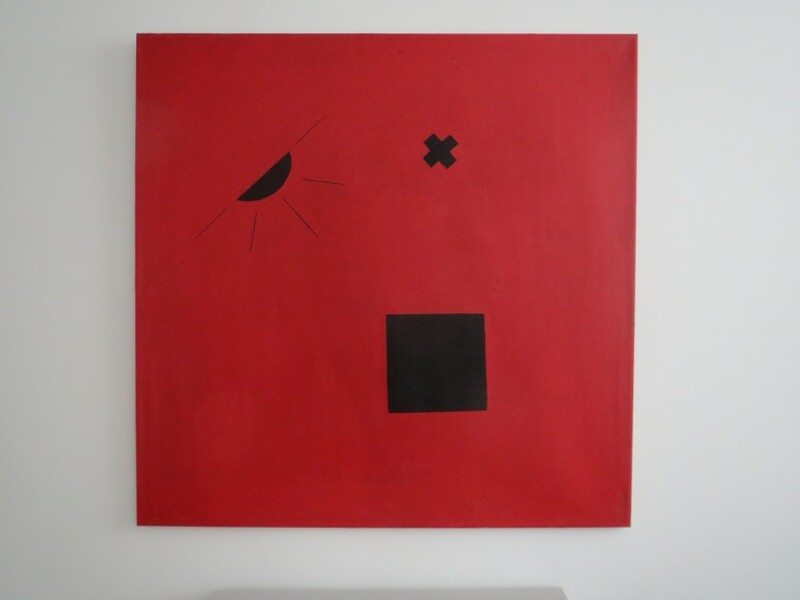 We arrived at the conclusion that our collection follows two main directions: one that considers the various aspects of the European abstract expressionism and art informel, and one that surveys the Eastern European abstract minimalism and optical art. Irmina Nazar. Courtesy of European ArtEast Foundation. What was the first artwork you purchased? Tadeusz Kantor’s “Peinture” in 1959 and a wonderful painting of Wojchech Fangor. A combination of our first two areas of interest! We think we hold around 300 pieces in our collection. 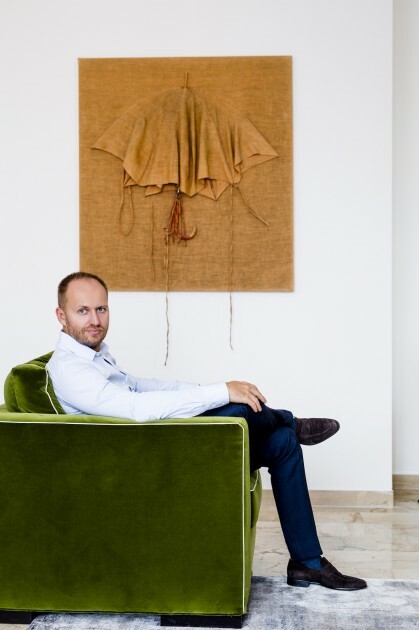 Our decision was to display the historical pieces of Polish and Eastern European art from our collection in our house in the South of France, while the emerging and international art is displayed in our residence in Poland. That’s too hard to say. 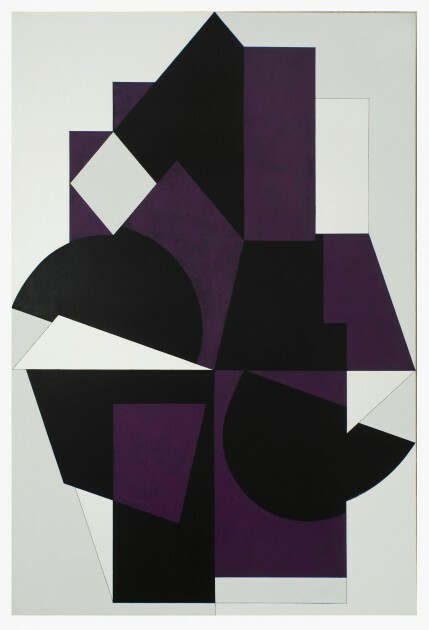 We cannot decide which work we like the most… but to pick a few, I’d say a painting of Viktor Vasarely, from the his earliest abstract period, before the optical art, which we purchased at TEFAF, and the series of 1960’s paintings of Tadeusz Kantor. Victor Vasarely, Kiruna, 1952-1962. Courtesy of European ArtEast Foundation. Firstly, it is about the power and intensity of the artwork, the work should intrigue us and open up questions regarding its meaning. Then, of course, we like to know more about the artist, his or her best creative periods, styles and tendencies. But of course, we have to initially like the work so much that we would like to add it to our collection. When this is possible, we like to visit artists’ studios to learn about their artistic intentions and visions and eventually support their practice. We would have loved to be friends with Tadeusz Kantor or Magdalena Abakanowicz, artists that we truly love and collect, but they are no longer with us. We had the pleasure of establishing a friendship with Wojchech Fangor, whilst he was alive and we know and admire Wilhelm Sasnal. Irmina Nazar and Artur Trawinski, with works by Victor Vasarely and Mlaedn Stilinovic. Courtesy of European ArtEast Foundation. What is your motivation behind opening the European ArtEast Foundation? We imagined this foundation as a supporting platform for researching and promoting art from our region. 27 years after the fall of the Iron Curtain we see lots of great developments in all these countries, not only economically and culturally, but also in terms of gaining a strong sense of identity, especially in terms of understanding our own place within the expanded Europe. Therefore, the time is ripe for creating specific programs that will bring the public closer to a different perspective on art from across Eastern Europe. Why do you want to show Eastern European art from the 1950s and ’60s in particular? We’ve discovered that this period is the least researched, mainly because those decades were traumatic in all senses. One should understand that after the atrocities of the Second World War, the whole region went through a social and ideological experiment that had dramatic consequences in all areas of life. And that, of course, also had a huge impact on the art produced. Karel Appel, L’homme, 1966. Courtesy of European ArtEast Foundation installed at residence in Wroclaw. 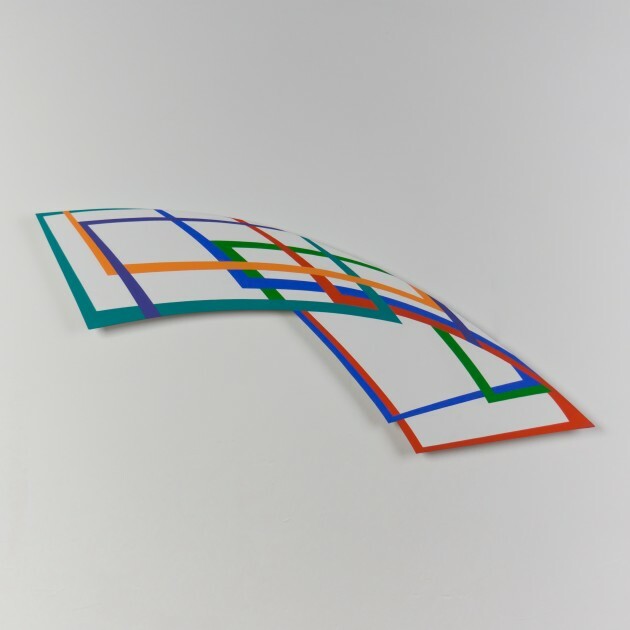 Dora Maurer, Quod Libet 41, 2000. Courtesy of European ArtEast Foundation. Will the foundation showcase a lot of artworks from your art collection? There are a few projects in the future, which will include some pieces from our collection in exhibitions, but this is not the main scope of our foundation. Why did you choose London for setting up the foundation there? The Foundation is registered and based out of London, but works internationally. The Foundation will continue to work closely with museums, arts organisations and artists throughout Europe, and as the major cultural centre for the European art world, London was the obvious central location as a gateway of sorts. 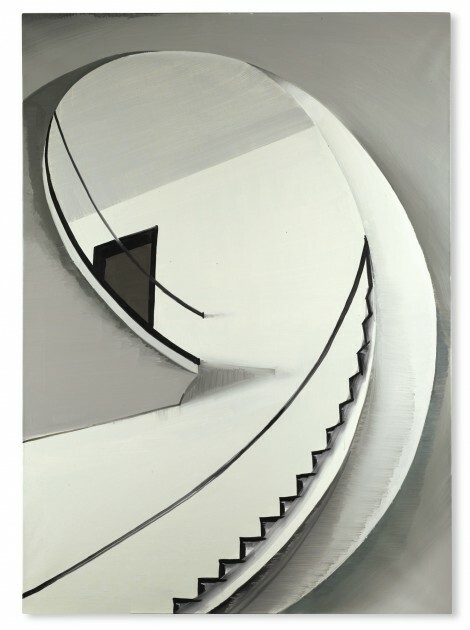 Wilhelm Sasnal, UNTITLED (FRANKFURT), 2004. Courtesy of European ArtEast Foundation. What do you want the foundation to achieve in the first five years? We would like to contribute to an integrated understanding about the recent history of Eastern European art. Our intention is to launch, in collaboration with other art institutions and organizations interested in similar topics, open calls for research projects and exhibitions that can all contribute to a better visibility of artists from this region. Can you name three emerging artists from Eastern Europe who we should watch out for? Flaka Haliti from Kosovo, the Romanian young painter Alin Bozbiciu and the Polish artist Przemek Pyszczek. Artur Trawinski. Courtesy of European ArtEast Foundation. The happiest moments are when we can support artists in growing and entering new chapters and levels of their careers. It gives us great pleasure and spectacular satisfaction to know that we have an impact on the discourse of an artist and on the artists’ development. Also, it greatly affects us when we understand that we might have opened new doors and horizons that were yet undiscovered by an artists and in that way, we helped certain artists in a more intangible way. 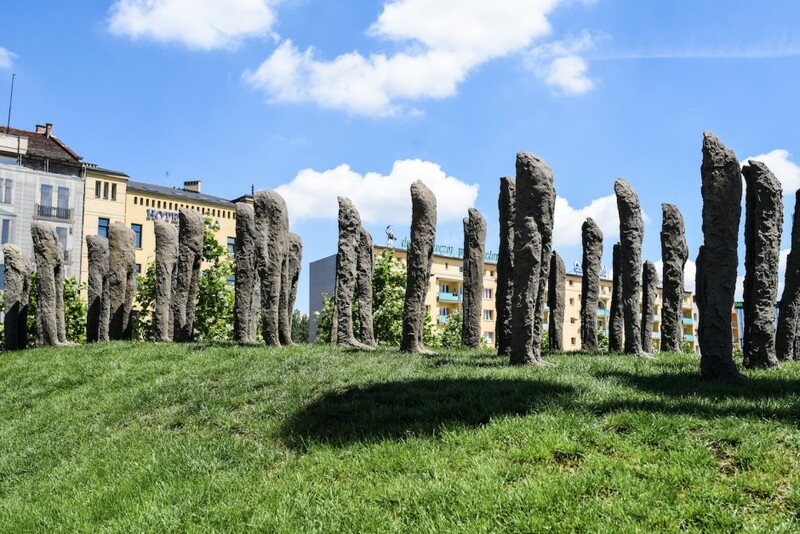 Your sponsored retrospective of the work of influential Polish sculpture Magdalena Abakanowicz. Why do you think the exhibition was important for the Polish art scene?Magdalena Abakanowicz’s work was better known and appreciated abroad, especially in America where she enjoyed huge success with many museum exhibitions and works displayed in public spaces. This exhibition was realized in collaboration with All That Art Foundation Wroclaw, and The Abakanowicz studio therefore presented a few works that were never shown in Poland before. Imre Bak, Breaking Out, 1970. Courtesy of European ArtEast Foundation. Magdalena Abakanowicz, ‘Bambini’ (aerial view 1), 1998-1999. Courtesy of the artist estate and European ArtEast Foundation.